← Captains, Praetors and Heresy… Oh My! I have always liked the idea of a Celestial Lions force, from the time of reading the War for Armageddon page on them back in the day, they, along with the Exorcists were the two standouts of that campaign to me. 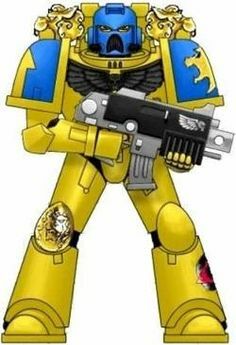 The idea of a chapter being forced to rebuild after betrayal from the Imperium (yes technically the Inquisition, but still) and not breaking, nor turning renegade is a powerful one, one that I have always wanted to explore with a Lions force. This is a bit of brainstorming towards that end. To me, the idea of the chapter being “dead”, essentially at Mannheim Gap was a gross overreaction frankly. With the full chapter deployed, that would cover active line troops. The idea that every single Apothercary back on Elysium, garrison Marine, fleet assigned Marine etc… was deployed is kinda stupid, that simply wouldn’t happen. The chapter wasn’t dead, it was beaten and broken for sure and I’m glad the events of Mannheim Gap were expanded upon with Grimaldus doing more than his share of the heavy lifting to keep Dubaku on track and not just going and getting wiped out because… reasons. So, all that said the question that sticks out to me is; how many Lions left Armageddon? 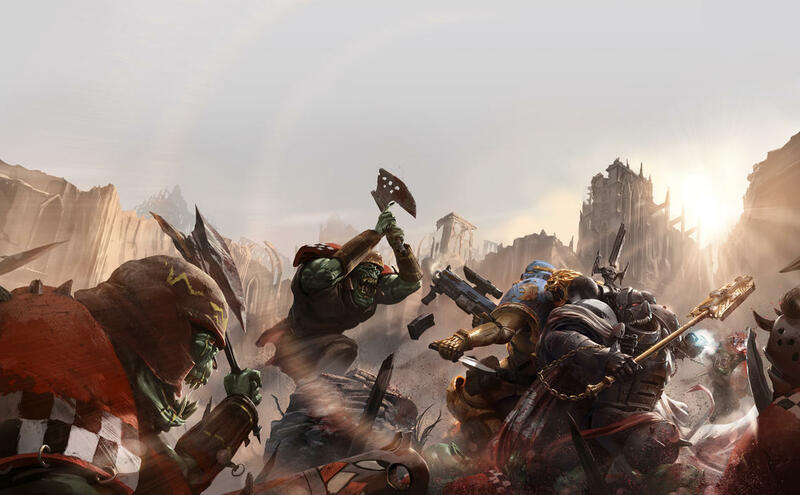 We know there were 96 when they pushed into the gap, and it is stated that when the Ork warlord fell, Dubaku was the only one left standing, that means they got the crap kicked out of them. I don’t think it implies that he was the last one left alive, though I guess it could be interpreted as such, I choose not to. That said, certainly all 96 did not survive that battle. For my purposes I have decided that 17 Lions survived, along with Dubaku that makes 18. The force I’m building will likely be centered around this battle hardened cadre of survivors, they will make up my Veteran Sgt’s as well as any Stern/Vanguard squads I field. I don’t know if, initially I will field Terminators. For Dubaku himself I am strongly considering Kantor, he gives Sternguard ObSec, and preferred enemy Orks also makes sense for a Lions army. I figure the SternGuard having ObSec is a fitting representation of the surviving Armageddon Vets. Warleader Vularkh buried the war-sword “Je’hara” in the beast’s belly and carved three metres of stinking alien guts free. It did nothing. I also really want to do a small unit of Vanguard vets painted up as Black Templars to represent the Sword Brethren that returned to Elysium with the Lions. The idea of Dubaku rolling around with them in the thick of things because he can’t afford to deploy his veterans that way yet appeals to me, with the idea being that he has had to spread his veterans around the newly formed squads to ensure their wisdom and experience is leveraged towards the future. No pity. No remorse. No fear. This entry was posted in Wargames. Bookmark the permalink.